Kansas 400 travel packages and Kansas 400 NASCAR tickets are available to purchase today. 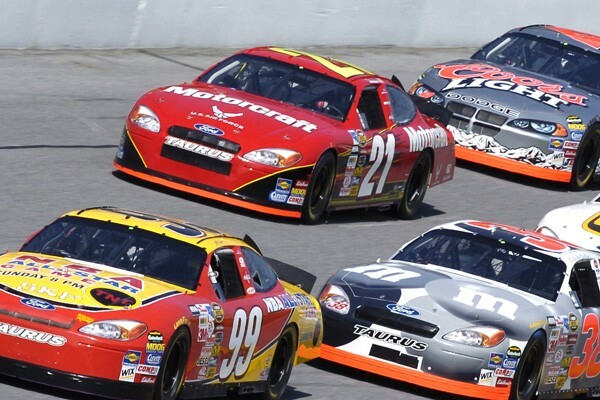 Visit the legendary Kansas Speedway for exciting NASCAR action! Kansas 400 Packages include tickets, hotel lodging, plus VIP hospitality options including pit tours. Or buy Kansas 400 Monster Energy Cup and Xfinity Series Tickets separately. Visit Kansas Speedway for one of the final 'Chase for the Championship' NASCAR races with these great race ticket and hotel packages. 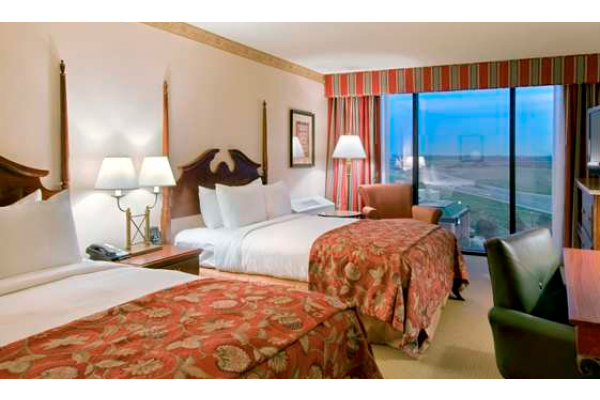 Kansas race tour packages include race tickets, hotel stay around Kansas, track transfers, plus NASCAR hospitality options. Reserve your tour soon as this race will soon be sold out! 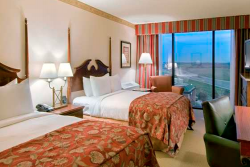 Kickoff your Kansas Race Weekend at the Hilton. Then enjoy the weekend's Monster Energy Cup Race! Enjoy two exciting days at Kansas Speedway with track & airport transportation, daily breakfast, and hospitality options.